A warehouser is a person engaged in the business of storing property. A warehouser has rights under the law over the property deposited with them until the storage bill is paid. Client has put goods in storage with a storage company and now cannot pay the bill. Client has received notice from a storage company that their goods in storage are going to be sold to pay the storage bill. 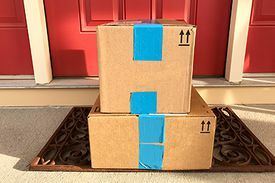 The Warehouse Lien Act gives a statutory lien over property, including a consumer’s goods, when that property is deposited by the owner (or the owner’s agent) with a warehouser. A warehouser is defined as a person engaged in the business of storing goods. Provide written notice: The warehouser must give written notice to the owner that they intend to sell the stored goods. The notice must contain a summary of the charges owing. The notice must warn the consumer that they have 21 days to pay the bill. Advertise that the goods will be sold: If the bill remains unpaid after the 21 days, the warehouser must then publish a newspaper advertisement at least once a week for two consecutive weeks announcing that the goods are to be sold. The sale date must be at least 14 days from the date of the first publication of the advertisement. The scope of the Warehouse Lien Act appears to cover moving companies as well. If there is no agreement that the consumer can pay the bill later, a mover is entitled to full payment before the consumer gets the goods.